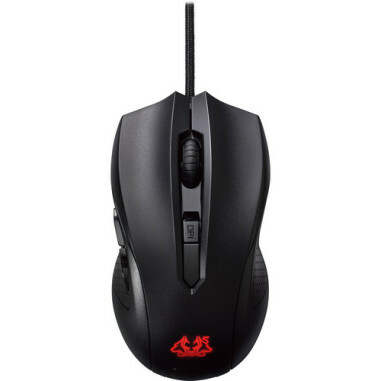 The Cerberus Mouse from ASUS is an ambidextrous mouse with an optical sensor and four-step adjustable dpi. It features six buttons, a scroll wheel, and a 5.9' cable that connects to your computer's USB Type-A port to provide plenty of give to prevent cable pulls. This mouse has rubber side grips to reduce slipping and sweating. Retail Price €51.99 Currently 'Out of Stock', please check back soon.